Hi, loves! We spotted this beautiful lace veil at Blanca Veils and couldn’t wait to share it with you. Starting at only $80, this lace veil features a soft and romantic look. With a drop veil, it gives the appearance of a floating veil without any obvious signs of a comb or bunching. A drop lace veil is typically worn pinned in your hair, or you can wear with a bridal hair comb. Take a look — it’s today’s handmade-a-day find! This handmade veil is made in your desired length and has a waist-length in front (33″). I adore the French beading and corded lace around the edge, which measures 72″ in width. This lace veil is made with very soft bridal illusion tulle. 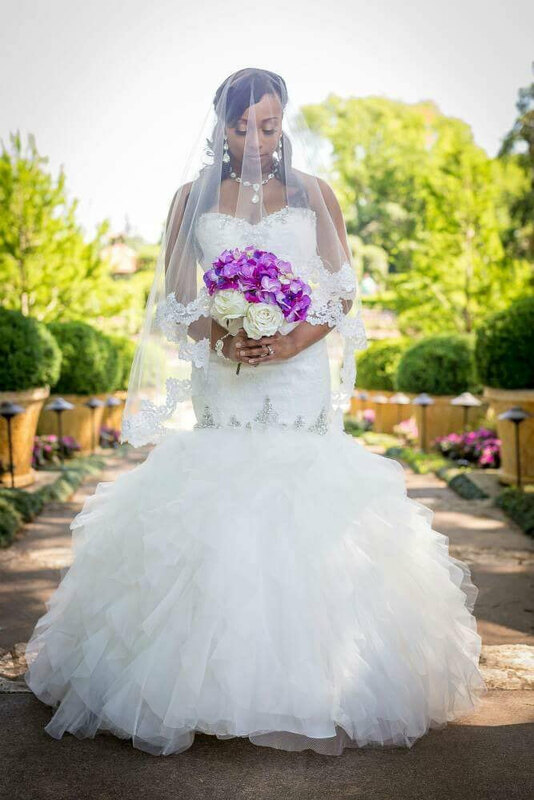 To view this drop lace veil, buy yours, or see more styles, visit Blanca Veils. Samantha is awesome to work with and she offers such amazing prices for truly beautiful wedding veils. Blanca Veils is a Featured Artist in The Marketplace at Emmaline Bride. Shop here!